It’s that time of year again! Do you like playing fantasy football? Do you like playing against your favorite contributors? Combine the contributors and the commenters into a bunch of 12-team leagues and that’s how we do it! 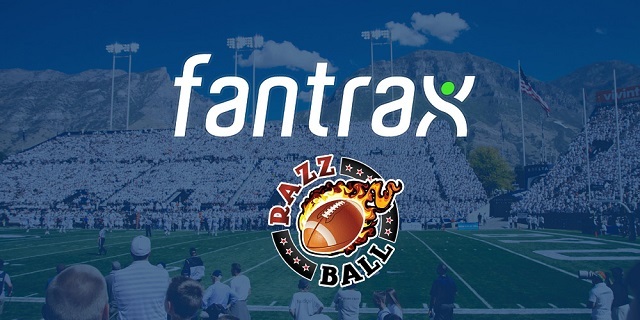 We have teamed up with the NEW and IMPROVED Fantrax for the second straight year to bring you guys FREE fantasy football action. That’s not all, we have PRIZES! Prize for the Overall RCL Champion: 50.00 Best Buy Gift Card, 2019 Season Access to our Premium Tools (including Razzball’s DFSBot) and a Razzball T-Shirt of Your Choice! Prize for Commissioner of the League that Hosts the RCL CHAMPION: $25.00 Best Buy Gift Card! Note: Razzball contributors, while allowed to participate, are not eligible for prizes. If a Razzball contributor is the RCL Champion, the Grand Prize will go to the next highest scoring player. If a Razzball contributor hosts the RCL Champion in his/her league, the next highest scorer’s league Commissioner will receive the $25.00 Best Buy gift card. Simply examine the Google Sheet below, find a league and draft time that works for you, and click the “LINK” button in “League Link” column to be taken to the leagues home page. If you would like to create a league, email me at [email protected] with your requested draft date and time and we will set up the league for you! It’s that easy! We will take care of the rest and add the league to our sheet. Format – We have done away with the IDP experiment from last season, but we are going full PPR this season. Quarterback scoring will be standard as far as passing stats go. Kickers and defense/special teams are back. Finally, here are the leagues available to join now! Sorry, but you cannot access that league right now. This is either because you are not a member of that league, the website URL address is incorrect, or there is an error in the system preventing the league from being accessed. If this is an error on our part, we have already been alerted and will probably have it accessible very soon. If you are no longer a member of this league, it could be caused by you being removed from the league, or possibly the URL (website address) is not correct (do not use a bookmark – it may have been altered or not copied/saved correctly). If you feel this is an error, you may contact us via the feedback form. I will have it looked into. Check back soon. Also which league did you try to join? @MB: I think it was Son’s. I’d like to join your RCL football league and the link isn’t working for me. I will consider joining one.